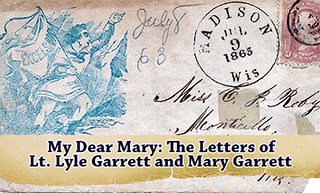 To commemorate the 150th anniversary of the Civil War, the OU Libraries are launching the Transcribing the Past: Civil War Manuscripts project. The Western History Collection has a large selection of Civil War manuscripts which our Digitization Laboratory (@OULibDigitize) has been working hard to scan and make available as open resources. As part of this project, we are asking for help in transcribing some handwritten documents so the content is more accessible for research. 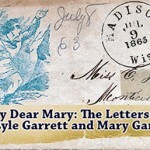 For the pilot project, there are two complete sets of scans that are ready for transcription – a group of letters written between Lieutenant Lyle Garrett and his wife Mary, and the diary of soldier Charles Kroff. Transcription is open to anyone, but you will need to register. We need at least 2 transcriptions for each document, so please spread the word and be a part of the OU Libraries first crowdsourced project!! !